As many of you will know, Andrew Lawman has decided to step down from his part time coxswain responsibilities with the Club and so we are looking for a replacement. The Coxswain is in charge of on-water safety at Grafham. Key features of this role are as follows. Working a minimum of 13 ”long weekends” over the year (one every four weeks). A long weekend is Thursday pm plus all of Friday to Monday inclusive. Beyond this there may be some flexibility to work additional hours, which can be discussed. 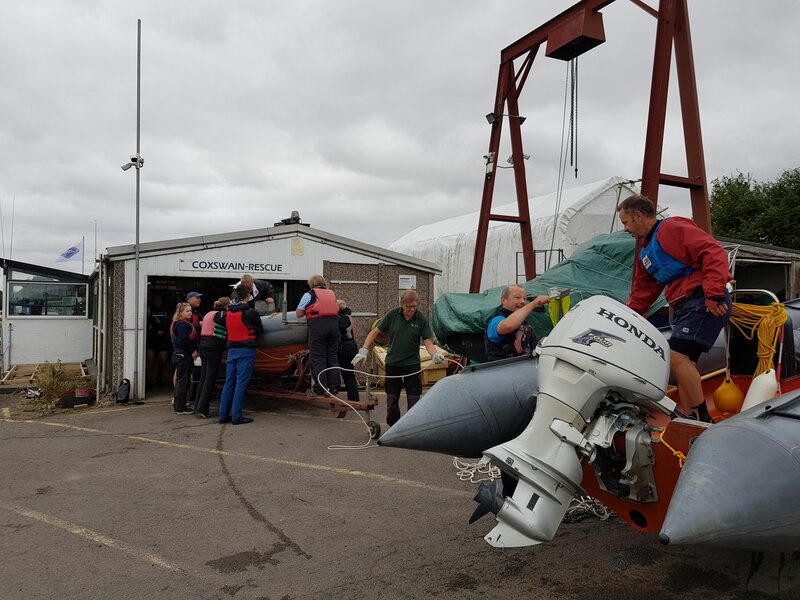 The role involves interaction with members, visitors and others (eg fishing wardens, Grafham Water Centre), both adults and youths, volunteers, and liaison with our RYA Training School and instructors. There is an element of administration involved which requires literacy and numeracy capabilities. Experienced power boat operator (Power Boat 2 qualification minimum, plus RYA Safety Boat and VHF Certificate or equivalent experience). Current clean UK driving licence: will need to drive both the tractor and Land Rover Discovery. First Aid capability (training can be given if required). Proficient at basic boat, machinery, building and grounds maintenance. A Sailing Instructor qualification would be an advantage. If you are potentially interested please contact me (details below) in the first instance.